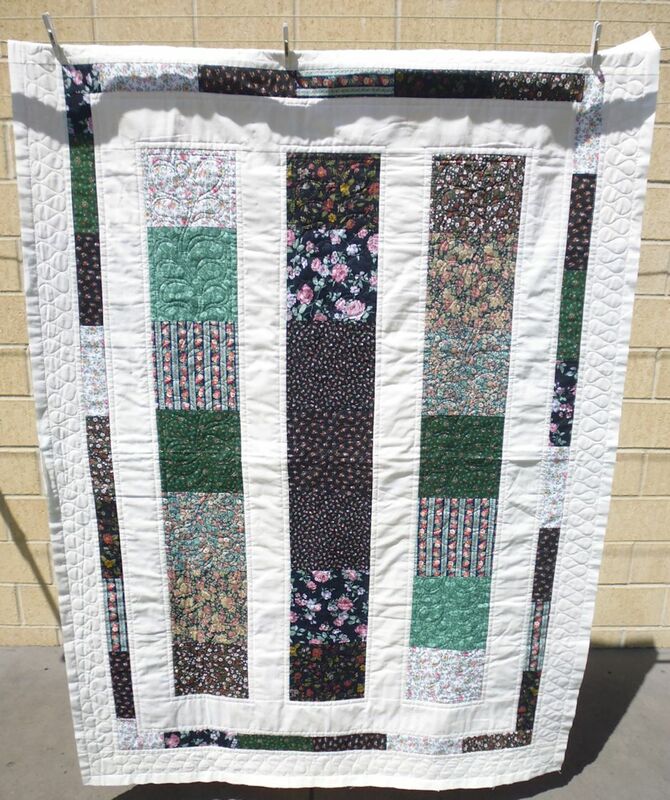 How to quilt this big quilt? I started by stitching in the ditch around all the main elements, as you do. 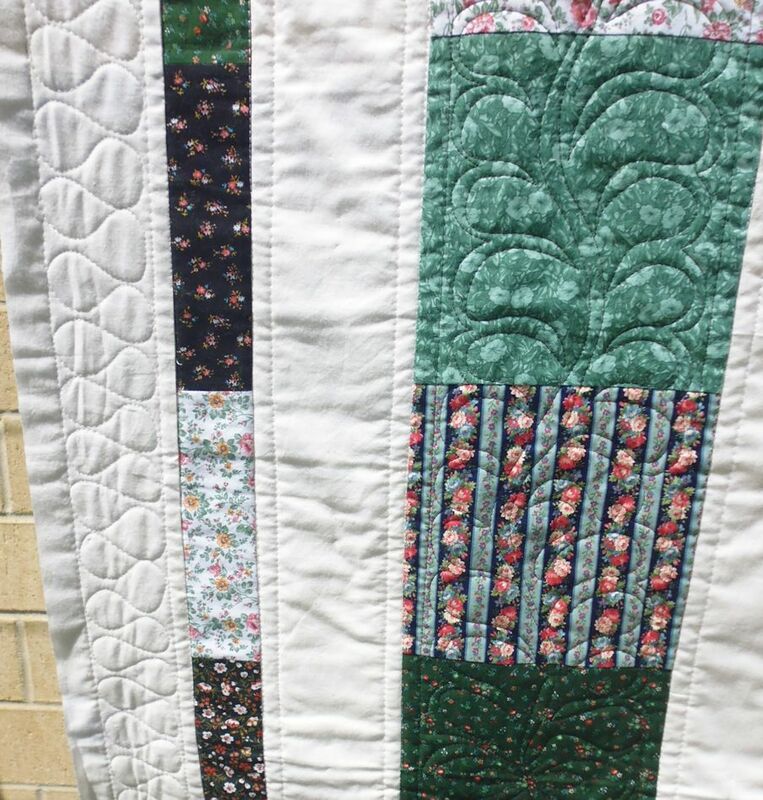 Then I echo quilted around all the coloured strips and borders, and in the outer border. Next, I stitched a ribbon candy motif in the outer border, and some big free-form feathers in the dark coloured strips.